Reserve your space in advance – this is likely to be very busy, and you will be able to go to the front of the queue. All materials provided plus an artist to guide you. This is an activity for 8 years and above, younger children may attend with a parent present. Adults also enjoy this experience and it’s not just for young people! 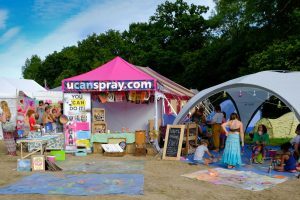 ‘U CAN Spray CIO’ is the UK’s first dedicated spray-painting charity, we regularly attend festivals and events. 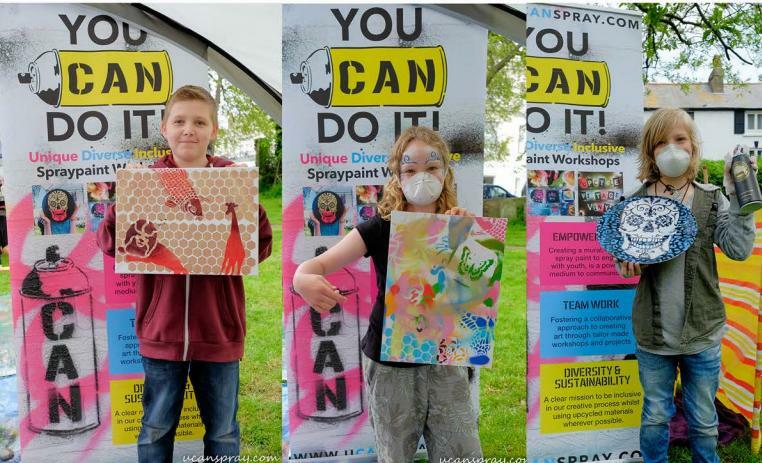 We create safe and inspiring pop-up environments for visitors to engage in a spray-painting activity for both experienced artists and ANYONE who hasn’t had the opportunity or skills to try yet. 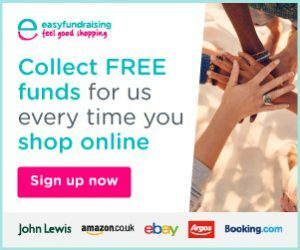 By supporting this activity, YOU will help others to take part in special workshops for disengaged or vulnerable individuals; as we run a not-for-profit format.